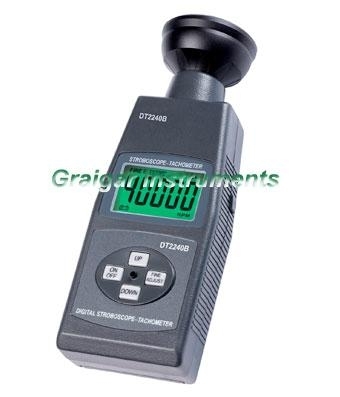 Stroboscope DT2240B is used to measure the rotational speed of a rotating object and to inspect the defect on its surface without the need to adhere any mark to reflect the light, and thereby without the need to halt the object from its rotation. TACH & MOTION & SURFACE MAR. of flashlight is increased 100% than DT2239B.